will you get your share of the market, or are you losing it to your competitors? Consumers spent nearly 4 billion on-line in August 2009! Your On-line Store and shopping cart makes it easy for you to sell your products on-line. You don't need to know how to do any programming unless you need a custom addition. If you can type you can open your own on-line Store! ROI (return on investment) is the measuring stick for all marketing. Stop wasting money on poor advertising. Get more new customers to bring in more profitable sales and increase your customer service with an on-line store.. The typical US retailer reinvests 4.3% of revenues in all technologies annually, such as CRM (customer relationship management), and shopping cart technology or $15,050 annually in this example. This investment is only 11% of the average technology budget, but gives you a measurable return on your investment. Want Increased Sales and Cash Flow? 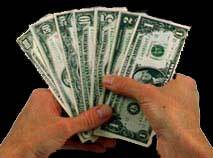 Start making money now, if you qualify, to start your on-line store. Call Today 530-755-2288! NOTE: Accounting standards do not include overhead in ROI calculations. Individual product performance may vary, 10% is taken as an average from client experience. Reports on sales, traffic and other valuable information. Your Product Catalog includes: manufacturer, product name, product description, product model, product quantity in stock, product image, product price, product price, weight for shipping, credit cards accepted, billing and shipping information, tax class (taxable yes/no), tax rate, thank you for purchasing page. Opt-in mailing list, where people can join a newsletter list or agree to receive promotional information from you. Up-sell feature, if you buy this item, here is another item that other people have bought that you might like. Banner ad management; place your own banner ads for products or sell banner ads. Specials or closeouts, listing in percent of amount or exact amount with expiration date so it expires automatically. Customer reviews, testimonies from customers on a specific product. What's New, new products, services. There may be additional production charges for special requests, image work, graphics work or other web page development at $75 per hour. New domain name registration is extra or to transfer a domain name, Private SSL Secure Certificate is $145 annually, and any merchant account fees are extra. Programming may be required by a independant PHP programmer for some custom additions. What can I sell using my Internet Store's Shopping Cart? Anything that is legal. Everything from travel, flowers, gifts, office supplies, T Shirts, Real Estate to information services, it's all good. How long of a lease do I have to commit to? All e-commerce solutions are available without leases. No long term commitments. It's pay as you go to your host. What if I don't have a merchant account? You will need a merchant account through a bank for them to deposit your processed credit cards revenue. Can I still use your services even if I already have a merchant account? Yes. You can have the orders emailed to you or if you have high volume they can be processed on-line in real time. How many products can I have on my web site? You can have an unlimited number of products. You will have to purchase a SSL Secure Certificate which renews annually. We can help you with all the details. You may also need to be on a PCI compliant server for your creidt card company. 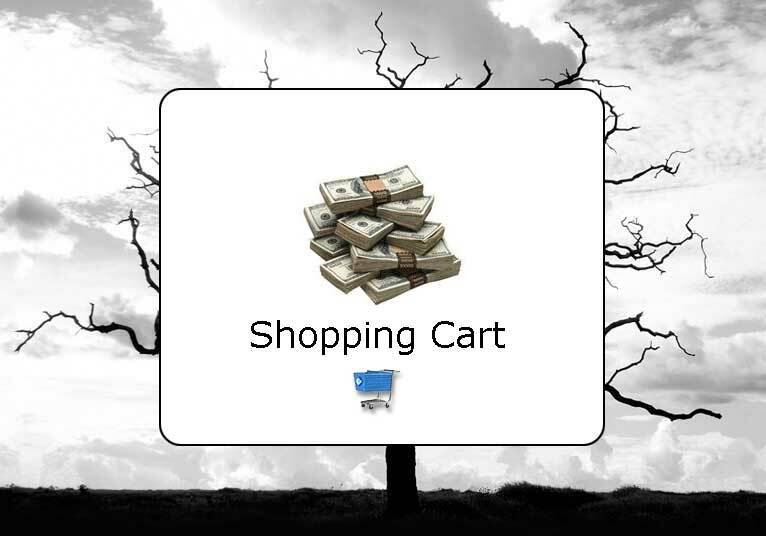 What does the Shopping Cart look like? What does the Administration System Interface look like? You can view the Administration System in our on-line demo. Complete the form below, obtain a "merchant account" to accept credit cards and get a domain name (we reccomend www.namesecure.com). Your web site hosting that is PCI compliant (we can help you with this) and an SSL Certificate.